We are excited to announce our first 10-day Pop-Up resident, Allison Luce. Luce will work in the ArtQuest studios during regular business hours from May 27 – June 5, 2015. In addition to her studio hours she will be available for visitors during Free Family Night on June 3 (5-7pm) and First Friday on June 5 (6-9pm). Luce graduated with dual BFA degrees in Painting and Art History from Ohio University and an MFA from Hunter College, City University of New York. 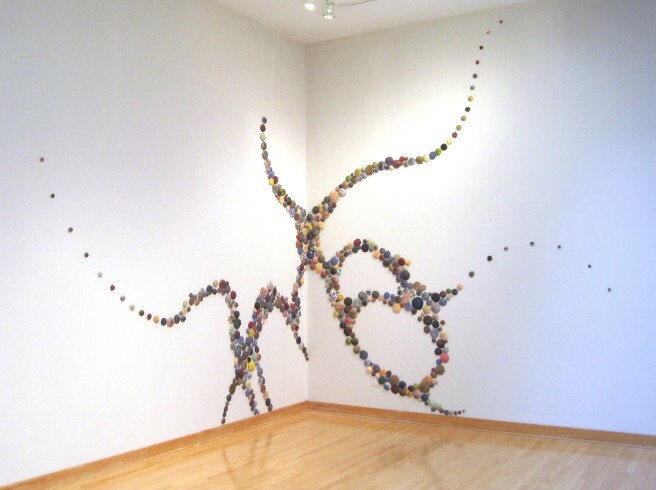 Currently, she lives and works in Charlotte, North Carolina where she is a studio artist and an adjunct art instructor. 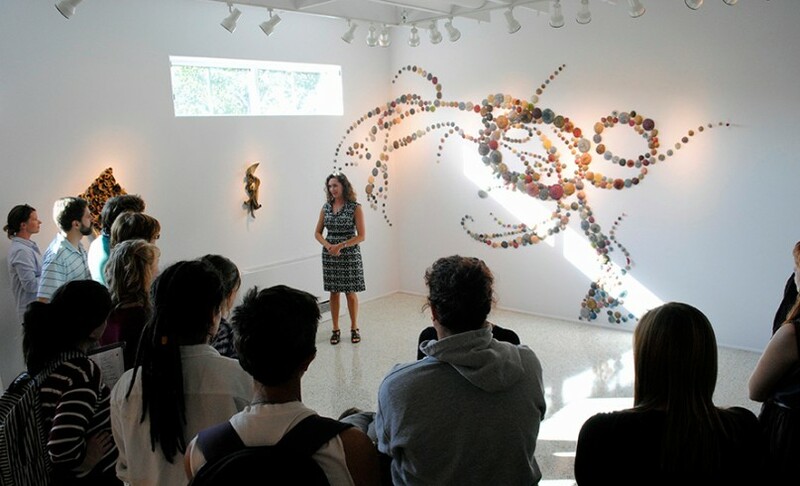 In 2014, Luce was awarded The Antinori Fellowship for Ceramic Artists at The Hambidge Center for Creative Arts and Sciences in Rabun Gap, Georgia. She also participated in The Arts and Science Council of Charlotte’s Community Supported Art Program, where she was commissioned to make fifty sculptures for the project. Her artwork was recently featured in The Charlotte Observer’s small business section. As part of her residency Luce will use clay and collage elements such as fake fur, wire, and natural objects to develop a new body of work titled Contain and Conceal. She will also work with visitors to create textured ceramic tiles which will be featured in one of Luce’s large installations titled Ancient Expanse. 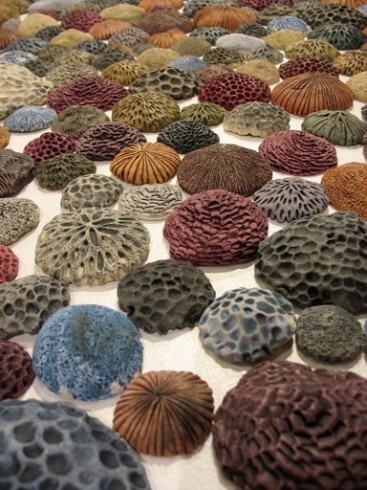 Luce will also provide examples of her work in various stages of the ceramic process for visitors to explore. All activities will take place in ArtQuest in Greenhill’s one-of-a-kind hands-on education studios for children and families. A new program Greenhill’s pop-up residency program provides a space and materials for North Carolina artists to create and exhibit artworks in an education setting deepening visitors’ experiences through discussions about artists creative practices helping visitors make important connections between processes and works in The Gallery. The next Pop-Up Residency is scheduled for August 26-September 4, 2015. Applications are due on May 15, 2015. All interested applicants should fill out an application online HERE. For more information, contact Lynn Sanders-Bustle, Ph.D., Director of Programs at 336-333.7460 x 103 or lynn.sanders-bustle@greenhillnc.org.